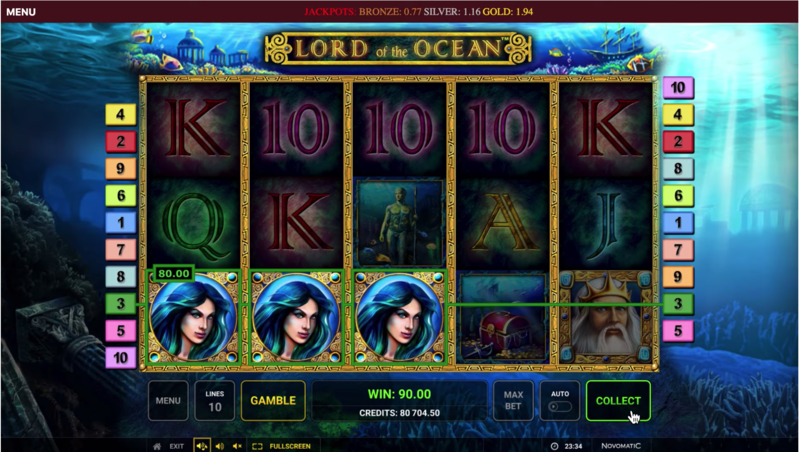 The Lord of the Ocean might is one the best and the most popular among all the slots made by Novomatic. It is a classic video slot inspired by Greek Mythology. Although it has several similarities with Book of Ra in some ways, without looking too archaic, extra ravishing features and charm make it incredibly unique. Lord of the Ocean is designed with a gorgeous undersea theme with a blue color palette. With the peaceful ambiance, elegance and class background will take the player on a ride inside the Nautilus into the mysterious depths with Captain Nemo. The dopamine will be triggered in the brain of the player during underwater adventure while discovering treasure. 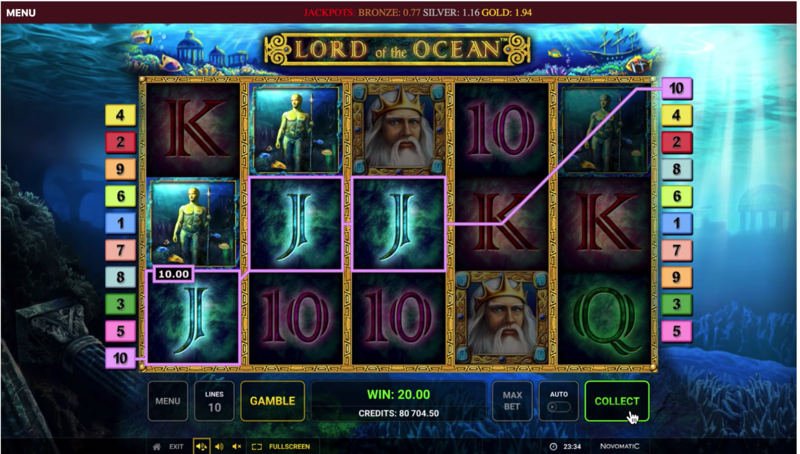 Lord of the Ocean has five reels and ten paylines which the player can set by + and – commands at the bottom of the game screen. The minimum number of a coin the player can bet is one per line. However, if you would add some challenge, you can maximize the bet to 5000 coins on a track, making maximum bet 50000 coins per spin. It is estimated that Lord of the Ocean is a medium volatility slot and provides a percentage of 95.1% return to the player. 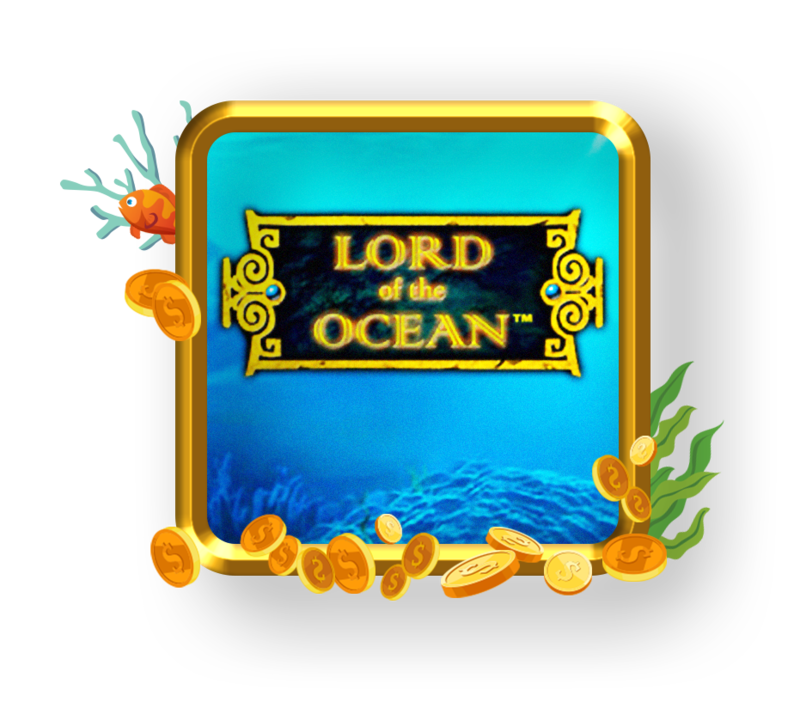 When you start to play the bonus round in Lord of the Ocean slots, you will receive initial ten free spins. If you are lucky, you could end up with even 100 free spins in total. Lord of Ocean is not yet allowed for real cash play in the US and Canada. Thus, If you would like to play real money, you most likely need to be in an EU country or UK. But you can enjoy similar games which you might find more fun.